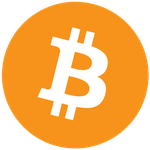 Arlington, VA – (October 8, 2014) – Bitcoin Shop, Inc. (OTCQB: BTCS) (“Bitcoin Shop” or the “Company”), an operator of the digital currency ecommerce marketplacewww.bitcoinshop.us which is undertaking the build-out of a universal digital currency ecosystem that leverages its ecommerce platform as an on-ramp, today announced that it has become the default provider of digital currency information for ivee, the voice-activated assistant for the smart home. Additionally, ivee is now available for purchase with bitcoin, litecoin or dogecoin on Bitcoin Shop’secommerce platform. ivee is the first voice-activated home assistant that answers questions, obeys commands and controls other Internet-connected devices. ivee can tell you the weather in any city, control your smart thermostat, provide stock quotes, bitcoin prices and more, all while allowing you to set your alarm or listen to music without touching a single button. Bitcoin Shop will be ivee’s exclusive provider of information for digital currencies like bitcoin, litecoin and dogecoin. Bitcoin Shop, Inc. plans to build a universal digital currency platform with the goal of enabling users to engage in the digital currency ecosystem through one point of access. We currently operate an ecommerce website (www.bitcoinshop.us) where consumers can purchase products using digital currency such as bitcoin, litecoin and dogecoin, by searching through a selection of over 400 categories and over 140,000 items. All ecommerce customer orders are fulfilled by third party vendors. We plan to use our ecommerce platform as a customer on-ramp for a broader digital currency platform. We have been actively partnering with strategic digital currency companies who have technologies, services or products that are complementary to our business strategy by making investments in them and integrating with them. Interactive Voice Inc. (“ivee”) was founded in 2011 as a consumer-focused, voice-control electronics company. ivee works at the intersection of artificial intelligence, speech recognition, natural language understanding, and the Internet of Things. Since 2011, ivee has made voice-activated devices, which can be found at stores like Best Buy, Staples, Office Depot, and Brookstone. For more information about ivee, please visit the company’s Web site at helloivee.com.